PRO1 Thermostats are now IN STOCK | Capitol Supplies, Inc. Since Pro1s inception 10 years ago we have been dedicated exclusively to the professional HVAC channel. 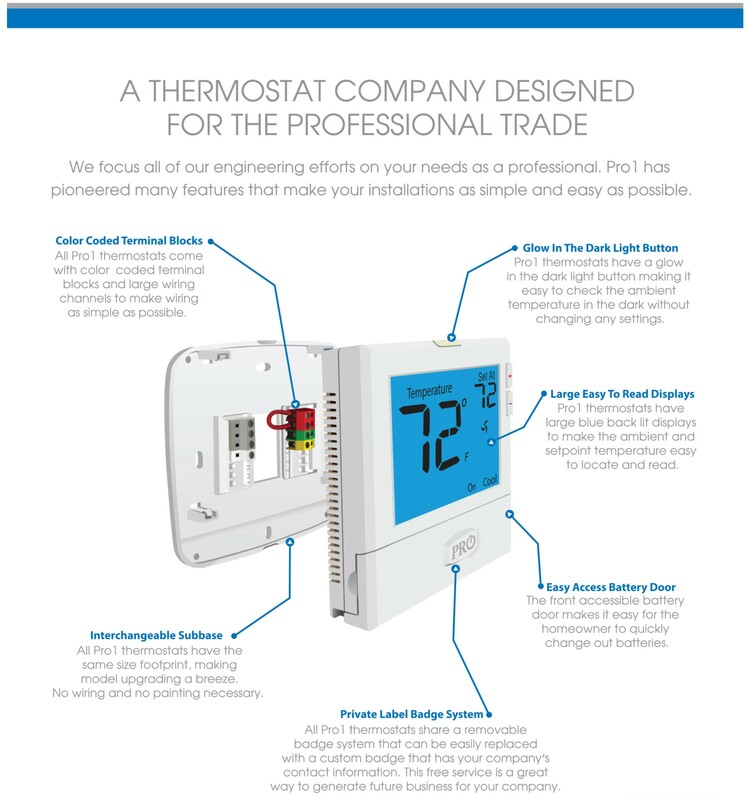 Our full line of thermostats simplifies installs and generates future business. The standard subbase, simple user interface, and large displays make Pro1 the simplest thermostat on the market today.